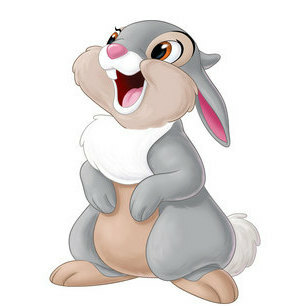 Buy Thumper's look: Shirt, $24.99 ; Jeans, $24.80 ; Cardigan, $27.99 ; Shoes, $16.99 ; Bag, $19.80 ; Ring , $14.99 ; Bracelet , $2.79. Casual affordable outfit inspired by Thumper from the movie Bambi! All the pieces of this outfit are $28 or less!